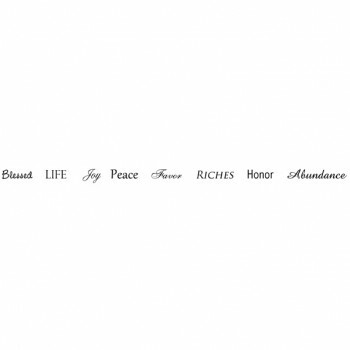 Sleek and elegant, The Abundant Life Bracelet uses nine key words to serve as a daily reminder to the wearer of how to truly live an abundant and prosperous life. The two bangles are stainless steel and interconnected. 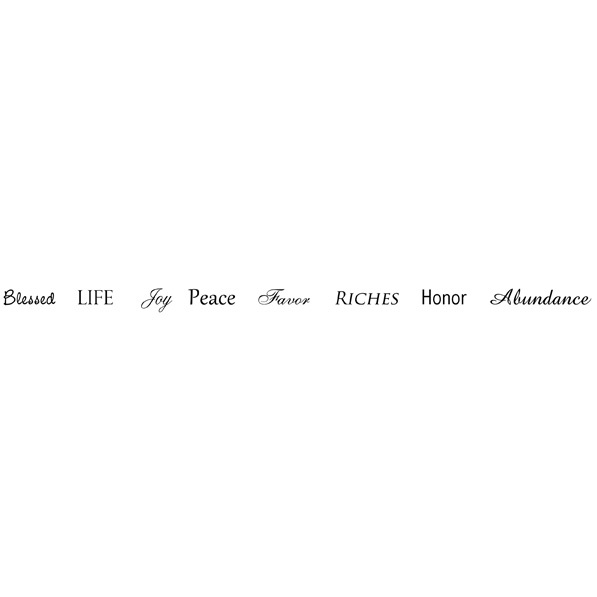 The wider bangle is brushed with antiqued lettering, and thinner bangle is shiny. 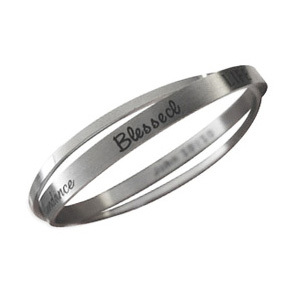 Inside the larger bangle the scripture John 10:10 is inscribed. 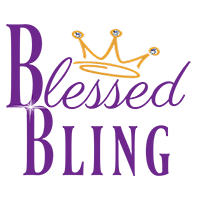 The bangle fits liberally for a woman with a 7.5″ to 8.5″ wrist. Comes with a card that describes the abundant life.